I have had many requests for travel to New York lately. This is gathering of information I have found. Many people want to stay close to Times Square and Central Park in an area known as Midtown, although this can be pricier than other areas. All Loops bus pass with unlimited stops across uptown and downtown Manhattan including Downtown, Brooklyn and Harlem plus a Night Tour to admire the city lights. "The Hop-on Hop-Off Tour is the best way to see NYC for the first time. I recommend staying put for the full round, then getting off at your favorite spot. The views from the upper deck were great, especially accompanied by the interesting trivia from the tour guide. I would recommend this to everyone." "Extending from 59th to 110th streets between 5th and 8th avenues [Central Park West], Central Park is one of the iconic sights of New York City." "We are licensed NYC Tour Guides passionate about sharing our city with you. We are history buffs, professional actors, retired executives and great storytellers. We enjoy travelling and understand the elements of a great travel experience: gaining new perspective, making new friends and being entertained. These are the elements that we incorporate into our tours. Our tours are entertaining, fun and never boring. You’ll hear stories to give you a better appreciation of your visit while having a chance to meet other travelers. Best of all our tours are FREE to attend. Our guides work for gratuities. If you love the tour, tip what you can afford. We promise you a great travel experience." "Taking a tour of St. Patrick’s is a wonderful opportunity to come to a deeper understanding of the architecture, history and spirit of this great Cathedral." All tours are free of charge, though contributions are accepted. Check out the website for information on who to contact to schedule a tour. 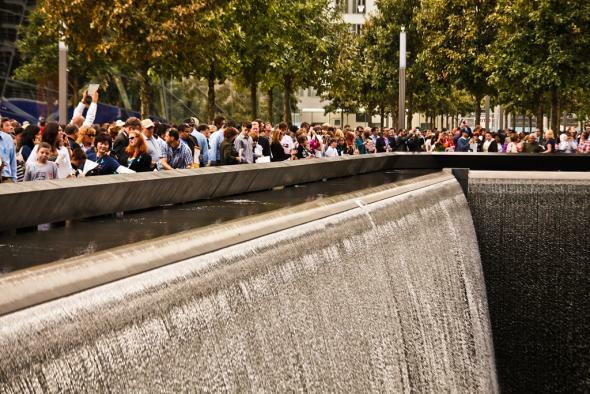 Visit the 9/11 Memorial A national tribute of remembrance and honor to the men, women, and children killed in the terror attacks of September 11, 2001 and February 26, 1993. The 9/11 Memorial is located at the World Trade Center in lower Manhattan. Visitors can access the Memorial by presenting a visitor pass at the 9/11 Memorial Entry at the northwest corner of Albany and Greenwich Streets. Check out the website to find out how to get there. The Statue of Liberty is undergoing renovations through October 2012. Make sure to check out the website and/or make reservations before you make a trip. If you want to go inside the base of the Statue of Liberty museum, you must make a reservation or else all you will be able to do is look at it from the outside. If you do make a reservation and you want to go to the highest point they will let you, but you will have to travel up one hundred seventy one stairs and then back down. You walk up inside and going down is mostly outside. You can only stay on Liberty Island until 5:00pm. "The statue of liberty is definitely something to see when you visit New York. 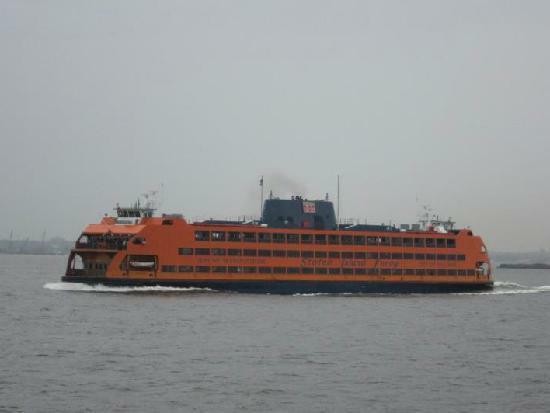 You can take the Staten Island ferry which is free and see her standing tall. You should also take a trip right to the top, the views are amazing. I'd advice you to reserve your tickets online, the queues are long but its worth it to get to see something as beautiful as the statue of liberty." The ferry runs around the clock, every day of the year. Generally, the ferry runs every fifteen minutes during rush hour, and every half hour or hour during nights and weekends. During periods of reduced visibility or heavy weather the schedule may be adjusted. The Staten Island Ferry is free. The fare for passengers was eliminated in 1997. The Ferry operates between the St. George Ferry Terminal on Staten Island and the Whitehall Terminal in Lower Manhattan. The trip is about 25 minutes long. The St. George Terminal is located at 1 Bay Street, Staten Island, NY 10301. The Whitehall Terminal is located at 4 South Street, New York, NY 10004. "This is a great way to view the Statue of Liberty and Ellis Island without taking a entire day to actually go out to the Island. The Ferry is free (a plus) and it takes approx 1 hour round trip. You will get the best view if you head to the right side of the Ferry when boarding to go to Staten Island and board to the left when heading to Manhattan. The Ferry leaves on the half hour so if you time it right you don't have to sit around and wait for it. The subway (Whitetail or Bowling Green) take you right to the Ferry entrance." 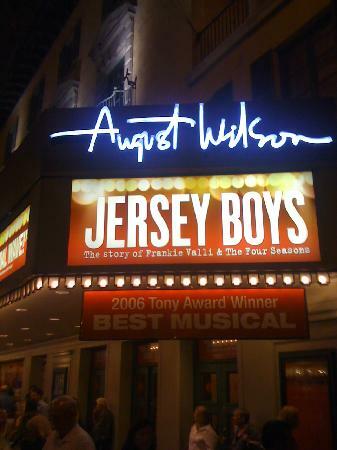 One Trip Advisor Reviewer: "One of The Best Shows on Broadway"
"It doesn't matter if you're a fan of the Four Seasons or have never heard of a single song they've ever sung, Jersey Boys is a show for everyone. It's a rare combination of a musical with a terrific storyline, catchy music and brilliant staging. The four leads are tremendously talented and I didn't want the show to end. See It!"